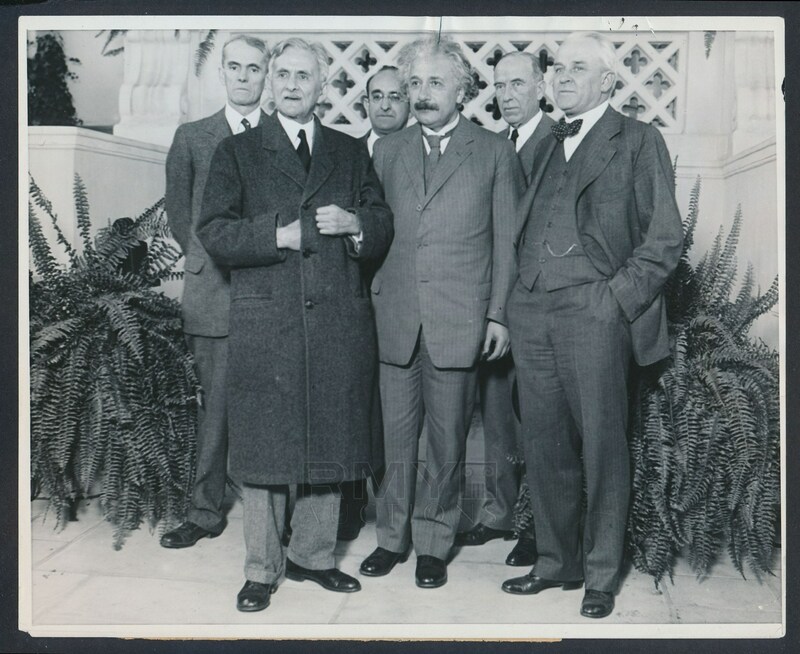 1931 Large photograph of Professor Albert Einstein and other scientists at Cal Tech as they collaborate on new experiments. 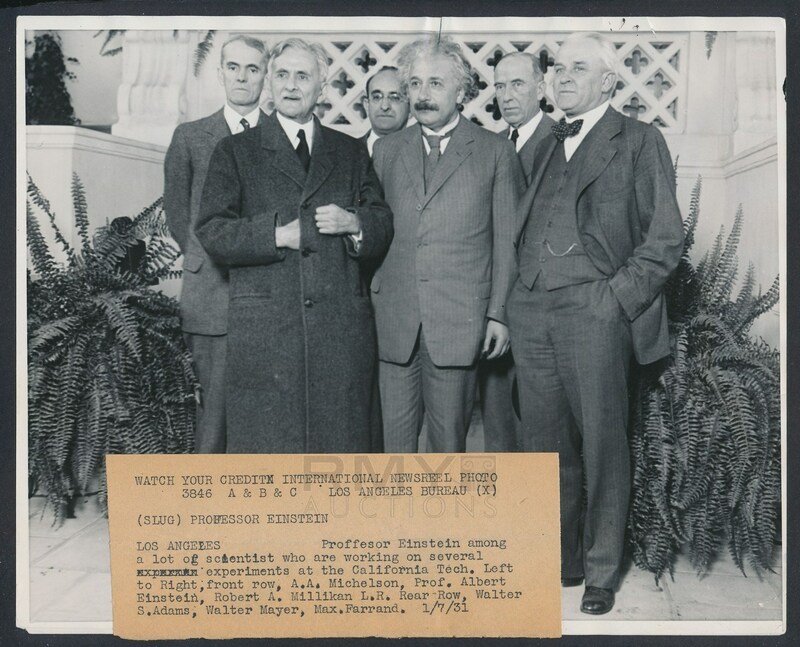 Included are fellow Nobel Prize winner Robert Millikan and Walter Adams, Walter Mayer and Max Farrand. 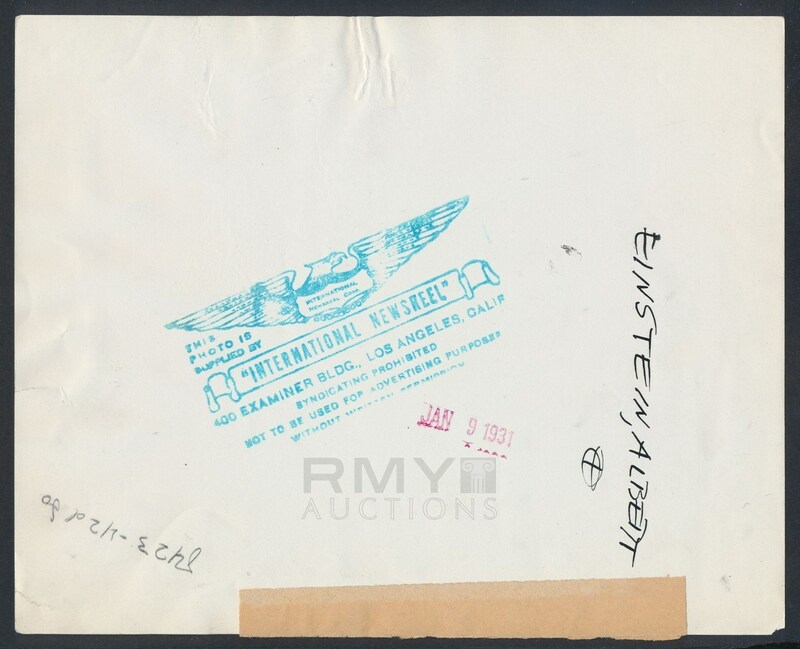 Issued by the International News and stamped on the back with a full paper caption as well.